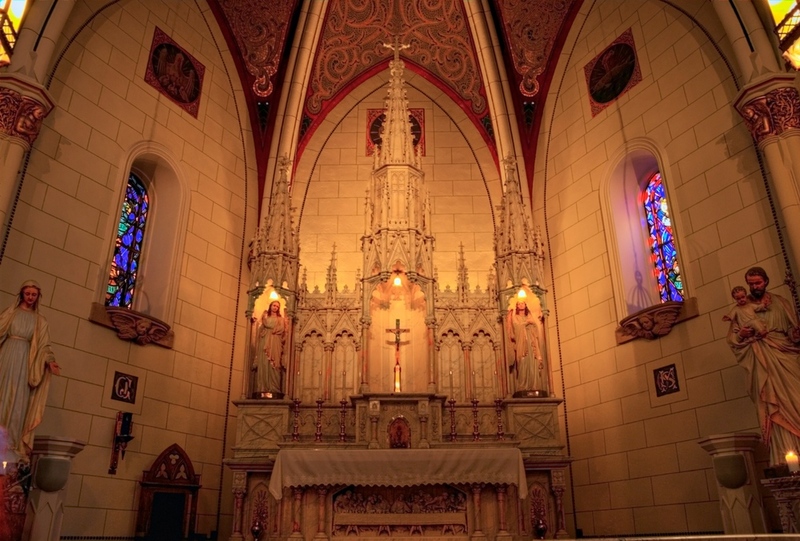 The Loretto Chapel sits on the edge of the town square in Santa Fe, NM. It is a very interesting place, and rather small, but it has a big story to tell. It has "the miraculous staircase", which was built by a stranger who then disappeared. It is miraculous because the nuns had prayed for a way to get to the choir loft, and this gentleman showed up and built it. The interesting thing is that is was built without nails and no apparent center support. It's pretty fascinating and the identity of the carpenter remains a mystery.